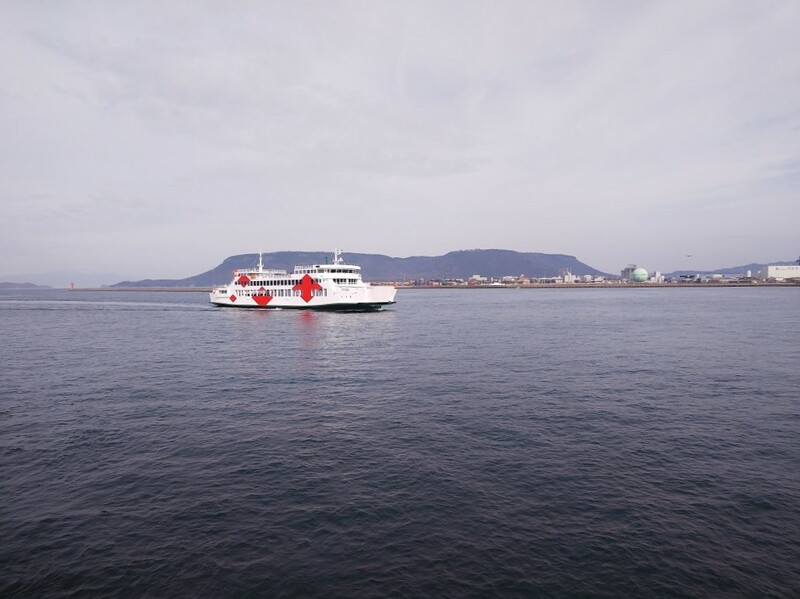 Asahi is one of the ferries for Naoshima. A few weeks ago, it got a new paint job (not sure if it’s been remodeled inside or not). Now to tell you the truth, I’m a bit confused. 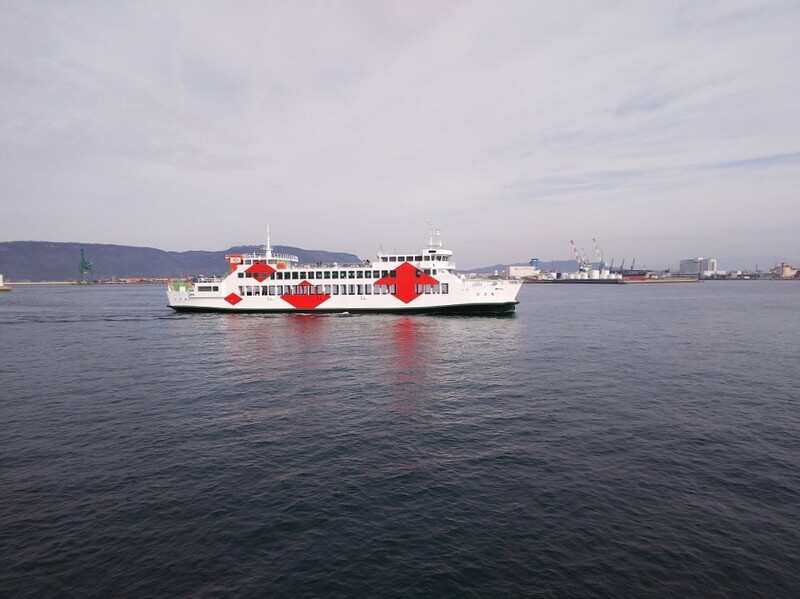 Until recently there were two large ferries connecting Takamatsu to Naoshima (plus the small fast boats), one was completely white and a bit oldish, and one that has been refurbished around 2012-2013 and that was white with red polka dots. As I’m not a Naoshima ferry specialist, I had assumed that this ferry here was the oldish white one. However, since I started seeing it, I haven’t seen the polka dotted one anymore. So there is some sort of a mystery going on here at the moment.